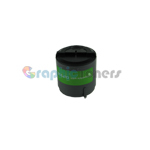 Toner Cartridge for use in Samsung - Graphic Toner has a wide selection of printer toner products for use in Samsung , laser toner for use in Samsung , 2010 toner for use in Samsung , and printer cartridges for use in Samsung for your home or office printer..
As one of the leading online retailers of toner cartridge for use in Samsung, laser toner for use in Samsung, ml 2010 toner for use in Samsung, printer cartridges for use in Samsung, and laser printer toner for use in Samsung, Graphic Toners should be your first stop for new toner when your printer runs out. 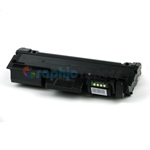 Regardless of what kind of printer you have, chances are, Graphic Toners has the printer toner for use in Samsung you need in stock, ready to be shipped out so you can start printing again. 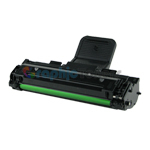 For years, we’ve been providing our customers with office and printer supplies, and as a consequence of that, we have more experience supplying printer toner for use in Samsung, laser toner for use in Samsung , ml 2010 toner for use in Samsung, printer cartridges for use in Samsung , andlaser toner for use in Samsung than the competition. We know better than anyone else what you need to get your printer printing again, and how to get it to you the best we can. As a result of our fifteen years of experience in the industry, we’ve learned everything we need to know to produce highest quality printer toner cartridges for use in Samsung. 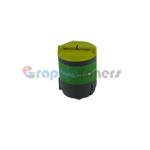 Unlike our competition, we here at Graphic Toners do everything we can to make sure that our printer toner for use in Samsung, laser toner for use in Samsung, ml 2010 toner for use in Samsung, printer cartridges for use in Samsung, and laser printer tone use in Samsung performs as well as OEM printer toner for use in Samsung. 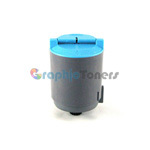 Trust Graphic Toners, and you can be sure you’re getting the best quality Toner Cartrdige for use in Samsung. 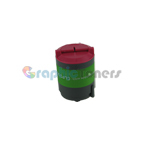 At Graphic Toners, we put a strong emphasis on the quality of the printer toner for use in Samsung, laser toner for use in Samsung, ml 2010 toner for use in Samsung, printer cartridges for use in Samsung, and Samsung laser printer toner that we manufacture in order to ensure that it meets the uniformly high quality we expect from not just our printer toner for use in Samsung, but all the products that we sell. 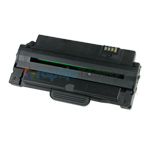 Also, because our manufacturing process has been developed over years by our practice of constantly testing and retesting our products, we can say with confidence that we have the ability to produce printer toner for use in Samsung that meets the same high quality standards as OEM printer toner for use in Samsung. All of the printer toner for use in Samsung, laser toner for use in Samsung, ml 2010 toner for use in Samsung, and printer cartridges for use in Samsung we produce are guaranteed to be of the highest caliber, and through our testing process, we can assure you that they produce only the best results, especially when compared to our competitors’ printer toner for use in Samsung. Because we subject all of the toner cartridge for use in Samsung, laser toner for use in Samsung, ml 2010 toner for use in Samsung, printer cartridges for use in Samsung, and laser toner for use in Samsung to a battery of tests, and because we don’t allow them to be sold or shipped out to our customers until they past those tests, we’re confident when we say we manufacture only the best toners. We highly value the business you provide for us as our customers, and the best way we know how to show that to you is by providing you with only the best quality products. As a result of our testing process being so highly refined and developed over the years, we can offer you a 100% satisfaction guarantee on our entire range of products. Unlike our competitors, who are quick to cut costs and corners at every turn, we know that it’s worth going the extra mile for you because we want our customers to have the best printer toner for use in Samsung for the best prices, and we know that Graphic Toners is the only place that has the ability to offer both. 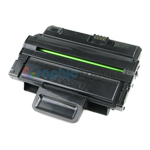 As a result of our years of experience producing toner cartridge for use in Samsung, laser toner for use in Samsung, ml 2010 toner for use in Samsung, printer cartridges for use in Samsung, and laser toner for use in Samsung, we’ve been able to develop our unique method of prepping them to be reused while still maintaining the same quality and integrity as the printer toner for use in Samsung you’d buy from the manufacturer. 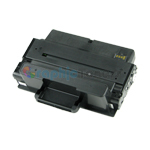 Our printer toner for use in Samsung is refurbished by first being taken apart and removing the internal components. 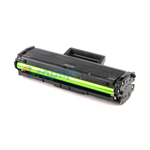 Any old, excess toner is thoroughly removed in order to ensure that it doesn’t unintentionally clog the printer head and obstruct the flow of the newer toner replacing it. After its cleaning, we replace all parts that are need in of repair or are worn out so that everything continues to maintain its proper functionality. 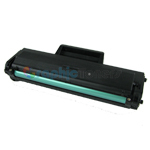 Then, we carefully refill our printer toner for use in Samsung and replace its wiper blades and rollers to ensure that the toner flows out of the printer toner for use in Samsung smoothly. 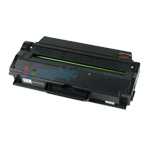 Then, we install a new toner drum and reassemble the toner ship it out to you to be used in your Samsung printer. 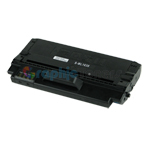 We’ve been expertly performing our toner cartridge for use in Samsung, laser toner for use in Samsung, ml 2010 toner for use in Samsung, printer cartridge for Smasung, and laser toner for use in Samsung services for years, so we know we’re able to provide you with printer toner for use in Samsung at a price considerably lower than what any of our competitors can offer. Likewise, even though the quality of our toner is as good as OEM toner, we’re able to offer ours to you at prices that are considerably discounted, sometimes up to 80% off. As a testament to how much we believe in our printer toner for use in Samsung, laser toner for use in Samsung, ml 2010 toner for use in Samsung, printer cartridge for Smasung, and laser toner for use in Samsung, we offer a full one year warranty on all our products. 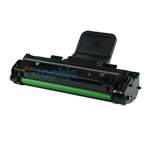 Graphic Toners provides the best toner cartridge for use in Samsung you can buy for your money. So, the next time your printer runs out of toner, remember that Graphic Toners is here to supply you with everything you need to get your printer running again.